There is a very good phrase: try to benefit from disadvantages. If you work under the boss who is not distinguished by professionalism, take advantage of it for your career and personal growth. While the boss is trying to hide his or her lack of knowledge and skills from everyone around, you can use this time to learn new managing functions and roles. For example, think over and start to make suggestions how to optimize the work. Discuss the possibilities to make the work more efficient with the employees of your department. You can gather an executive team for everyday activities, suggest your colleagues compete in professionalism or offer a competition to another department. This will distinguish you from the others. Creating a client card with the information from 1C on such parameters, as seasonal sales for each client, the description of the best offers, etc. One day the boss announced that the system of control must be introduced in the department. That is when the subordinate showed his groundwork. When the company decided to introduce the profound CRM system, who do you think was included into the workgroup as the leader? Those who must notice you should be the heads of other departments or higher managers. Try to get involved in the projects in which employees from other departments take part. If you work in the sales department and contact, for example, with the logistics department, be the best sales specialist for your colleagues from the logistics. In this case, the head of this department will know about you. You can use this as a career step in future. An example: During the 2008-2009 crisis I watched how many heads got rid of less worthy employees. At the same time some other heads managed to use this difficult time for their own benefit by getting rid of good specialists who, in fact, were scheming against them. I know at least 10 personal stories when the heads of other departments saved these specialists. Sellers were employed in the logistics department, financial experts were taken to the customer service, marketers passed to HR departments. After some time the saved employees returned back to their previous departments as their heads. If the boss is easy to communicate to and to build personal relations with but he or she is distinguished by laziness and the lack of professionalism, help him or her to grasp the workflow and current tasks in the department. In other words, take up a part of the boss’s work. Of course, from the outside it may seem that the boss takes your achievements as his or her own. However, more often than not the staff understands who plays the key role in the organization of work. An example: one of the candidates whom I wanted to hire told during the job interview that a new head was appointed to his department who didn’t want to look too closely into the business specifics. He didn’t understand the product specifics, the prices but tried to contact the VIP-clients at the same time, constantly getting into troubles because he didn’t know the basic information. My candidate noted that at first he was very upset because of that and tried to get the attention of the top officials of the company to the problem. Then he understood that the incompetent boss was hired on some purpose and started to help him in handling the clients’ tough questions. In 3-4 months the key clients called my candidate on every important question. In six months the top officials addressed only him on every question. The candidate never employed in my company. The current employer understood his value as a specialist, improved his work conditions and included him in the personnel reserve. If the incompetent boss was assigned to your department, most probably it was done on purpose. At the same time you might never know for certain, on what and whose purpose. So struggling with the factors that you cannot estimate reliably is unworthy. In no case should you point out or tell anyone, especially in public, about examples of the boss’s incompetence. An example: the most common situation in the business world is when a clever ambitious employee is constantly trying to demonstrate that his or her boss is short-sighted, sluggish, slow to notice the ways to solve the issue. 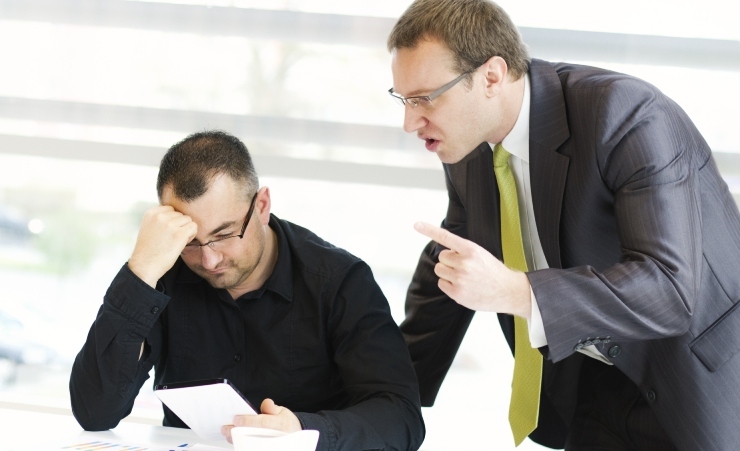 All this ends with firing the nimble manager – always! If the top officials keep the sluggish and slow boss on the post, then he or she is good at top-management or business. That is why his or her sluggishness is forgiven. And if you don’t know what the top officials of the company appreciate the incompetent boss for, you cannot be sure that you will cope with this important work as good as he or she. Sooner or later the incompetent boss will reach a stalemate or won’t manage to find a way out of a difficult situation. Then you will be able to announce that you have a plan of action. If your plan is good, you will become a hero. But be aware that if the plan is bad, no one can predict how the boss will treat it. An example: At the point of business crisis our market faced the need to fire a part of the personnel. In this situation, I started to study the experience of European and American companies. And I discovered many interesting tools, adapted them to our conditions, found partners to perform a part of tasks. When I was called and asked to share my ideas and ways out of the sensitive problem, I presented the detailed plan of outplacement (the company’s help in the employment of the fired personnel) with regulations, forms, terms, functions, and roles. I should point out that my boss approved the plan and helped to realize it.